Our annual holiday themed open skate is fun for the whole family. 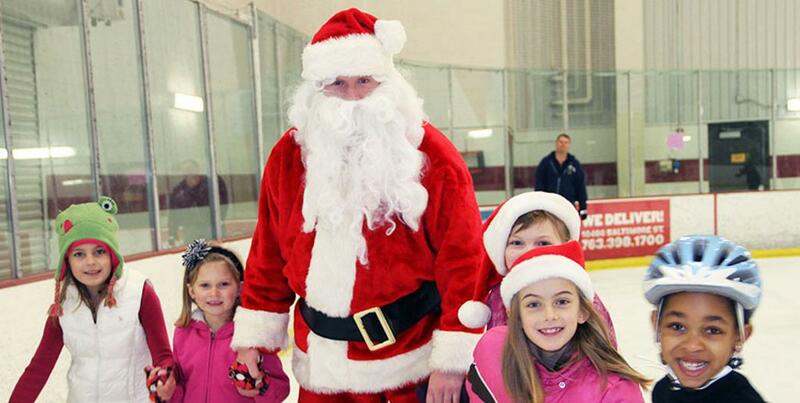 Enjoy an afternoon on the ice with Santa and help yourself to treats and even get a photo with old St. Nick himself! Option to take a fun holiday photo with Santa on his Zamboni sleigh! $7 per person, no pre-registration necessary. Skates and helmets available for rent. Contact Jane Schaber at Jschaber@superrink.org or 763.717.3891 for more information. Join us in October for our annual costume theme skate. Skates and helmets available for rent.